Ojas, according to Ayurveda, is the biological energy that is responsible for our energy, vitality, longevity, immunity, softness and glow. 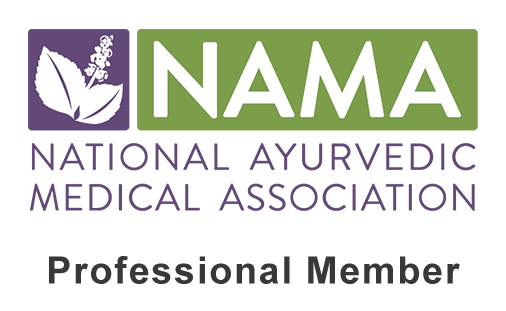 During the fall and winter seasons, Vata tends to increase, depleting Ojas in the body and leaving one fatigued, unmotivated, dried out and prone to sickness. If you are suffering from feelings of depletion, this recipe is a great way to start to regain your vitality for the fall and winter to come. Read more on “How to Increase Ojas”. This particular Ayurvedic recipe is extremely nourishing, sustaining and perfect for these chilly mornings. This oatmeal recipe really calms the nervous system and soothes the soul. Besides increasing one’s energy, immunity and vitality; this nutritious recipe is packed with vitamins, antioxidants, phytonutrients and loaded with healing properties. This meal is high in fiber, protein, healthy fats, iron, zinc, magnesium, manganese and copper. It is anti-inflammatory by nature while lowering cholesterol levels, reducing your risk for heart disease, balancing blood sugar levels and reducing your risk for obesity. 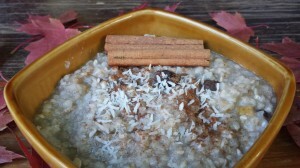 Click here for a printable copy of our Ojas Oatmeal recipe! *See doshic variations at the bottom of the page to make this recipe more Kapha-friendly! 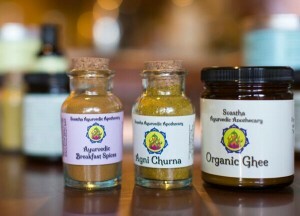 *All of the spices can be replaced with 1 tsp of the Ayurvedic Breakfast Spices. 1. Boil the water then reduce the heat to low. Add the steel cut oats, raisins and chopped dates. 2. Cook the oats, covered (leaving a slight crack to avoid overflow), for 30 minutes over low heat. 3. Remove from heat and add the spices, coconut, tahini and ghee. Stir until everything is evenly mixed. 4. Once the cooked oats are cooled a bit, add the honey to taste*. Sprinkle with an extra dash of cinnamon if desired. 5. Eat, enjoy and energize! *Honey should never be heated or cooked over 108 degrees as it will become toxic to the system. This recipe is great as is for Vata types and during Vata imbalances. To make this recipe even better for Pitta types, one should use almond butter rather than the tahini and maple syrup instead of honey. Otherwise this recipe can be left as is. Kapha types will want to use buckwheat groats instead of the steel cut oats (same proportions). They can eliminate the dates and replace the 2 Tbsp of shredded coconut with 1 Tbsp freshly ground flaxseed. The amount of ghee can be cut in half to 1/2 tsp. The spices can be doubled to help aid in digestion and add a bit of lightness to the meal. How can I print this recipe from this page? Hi Frasier! Thank you for your comment. I actually get asked this question often, so I am sure others out there are also wondering. Fruit is definitely meant to be eaten on its own, as it is one of the main food combining rules in Ayurveda. However, raisins and dates cooked into a meal, is considered an exception to this rule. So now you are probably left wondering why? I know I had this same question during my schooling. Unfortunately, not everything has a definitive answer. There is actually a Sanskrit word for this called “Prabhav”, meaning a special quality or action a substance possesses. Often these special actions are left unexplained. And as one of the many famous quotes from Dr. Lad, “it is so”. So this is the best answer I can provide for you. Of course, I have come across individuals with extremely sensitive digestion, and they felt better not adding even raisins or dates to their meals. So if for any reason, you feel like it is not beneficial for you to mix these substances in one meal, then by all means listen to your body! 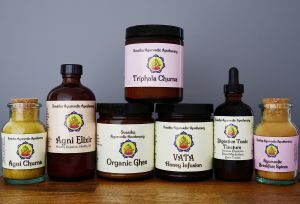 I’ve read that honey is not good for Vata, because of its astringent properties. Thank you for your question. It is true that honey does have a slight astringent property to it which can lead to dryness and therefore Vata aggravation. However, it is still considered acceptable for Vata types in moderate amounts due to its more potent sweet taste and heating energy. Out of all the doshas it is best for Kapha types and generally not recommended for Pitta (especially if there is already too much heat). I hope this helps!